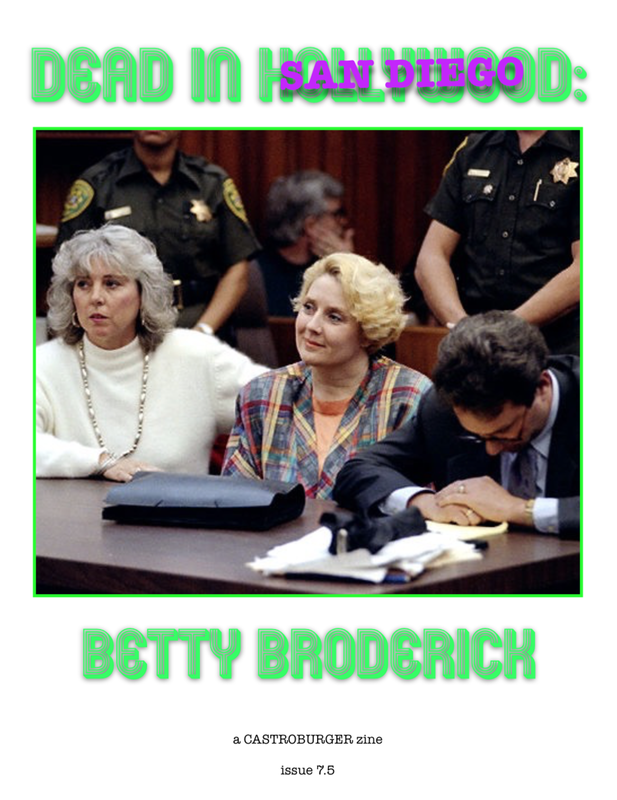 The latest issue of Dead in Hollywood, Dead in San Diego: Betty Broderick (issue 7.5) is for sale now in our store. CLICK HERE for a copy. Dead in Hollywood: Stalked was my favorite issue, but the Betty Broderick issue has to be my new favorite. The more I put into each issue the harder it is for me to let go of whoever I’m writing about - something I’m sure Betty understands. She wasn’t able to let go and because of this… she is serving a life sentence behind bars for killing her ex-husband and his new bride.